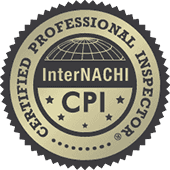 For more information on your Home and Environment, ask your local home inspector. People have a strong emotional attachment to water, arising from its aesthetic qualities--tranquility, coolness, and beauty. As a result, most water bodies within developments can be used as marketing tools to set the tone for entire projects. A recent study conducted by the National Association of Home Builders indicates that "whether a beach, pond, or stream, the proximity to water raises the value of a home by up to 28 percent." A 1991 American Housing Survey conducted by the Department of Housing and Urban Development and the Department of Commerce also concurs that "when all else is equal, the price of a home located within 300 feet from a body of water increases by up to 27.8 percent" (NAHB, 1993). Although there are a limited number of natural waterfront sites adjacent to lakes, rivers, streams, estuaries, or open ocean, many opportunities exist to create waterfront property. Homes and businesses can be sited along hydroelectric or water supply impoundments or near the banks of artificial lakes created for wildlife, recreational, or aesthetic reasons. A practice becoming more prevalent is to site developments around man-made ponds, lakes, or wetlands created to control flooding and reduce the impacts of urban runoff on neighboring natural streams, lakes, or coastal areas. When designed and sited correctly, artificial lakes or wetlands can help developers reduce negative environmental impacts caused by the development process and increase the value of the property. Certain urban runoff management controls can be incorporated into a development in a way that provides aesthetic and economic benefits. Urban runoff controls that are pleasing to the eye and safe for children can lead to increased property values. Because the beauty of natural surroundings can increase real property values and enhance the quality of life, beautification of land areas adjacent to waterways and detention ponds should be considered an integral part of planning by developers. For existing runoff controls that are unsightly, corrective renovations can be made to increase the property value and quality of life. Urbanization causes changes and impacts to the environment and our communities. Many effects of urbanization are positive, such as new places for people to live and work, increased recreational opportunities, and economic growth. However, some of the impacts might be negative if they are not handled with foresight. Development leads to an increase in the amount of pollutants in an area. Sediment from construction sites can end up in streams and rivers, choking plant and animal life. Oil and gas from vehicles can leak onto roads and parking lots. Fertilizers and pesticides, if not applied properly, can wash off lawns. Pesticides are often found in higher concentrations in urban areas than in agricultural areas. Pet waste, if not properly disposed of, can enter storm drains that lead to wetlands, streams, or rivers. Household chemicals, such as paints and cleaning products, can leak if not stored or disposed of properly. All of these pollutants can wash away when it rains and end up in streams, rivers, lakes, estuaries, or ground water. Many pollutants also bind to the sediment, so when sediment washes away it takes the pollutants with it. Urbanization also leads to loss of pervious areas (porous surfaces) that allow rainwater to soak into the ground. This can increase the amount and velocity of rainwater flowing to streams and rivers. This increased speed and volume of water can have many impacts, including eroded stream banks, increased turbidity and pollution, increased stream water temperature, and increased water flow. All of these can have an adverse effect on the fish and other organisms living in the stream and the receiving waters. When rainwater cannot soak into the ground, the result can be a loss of drinking water because many areas of the country rely on rainwater soaking into the ground to replenish underground drinking water supplies. Loss of trees due to urbanization can have negative impacts. Trees are important for controlling the water temperature along the shorelines of water bodies. Since many aquatic plant and animal species are sensitive to changes in water temperature (trout, for example), it is important to keep stream temperatures as close to natural levels as possible. When the shade of trees is lost, the water temperature can increase. "Best management practices," or BMPs, help address these impacts. BMPs are designed to help reduce the amount of pollution in urban runoff. Some help to control the volume and speed of runoff before it enters receiving waters. Many help to increase the amount of rainwater that soaks into the ground to restore groundwater. There are two general types of BMPs: structural and nonstructural. Structural controls involve building at "facility" for controlling urban runoff. There are a variety of structural controls and most require some level of routine maintenance. There are two types of structural controls that have been documented as providing economic benefits: urban runoff ponds and constructed wetlands. Nonstructural BMPs do not require construction of a facility. For example, planning a development so that there are buffers along stream banks and minimizing the amount of impervious area are types of nonstructural controls. Structural and nonstructural controls can be used in combination to manage runoff. Urban runoff management controls are now widely accepted due to lessons learned from not planning properly for the impacts associated with increased urbanization. Most local governments require some form of urban runoff management for new development. They require such controls for two reasons: to prevent pollution and to prevent flooding caused by increased runoff, mostly from impervious areas. Usually they require structural controls although some local governments give credit for nonstructural controls. A literature review was conducted to examine the impacts of urban runoff management ponds on property values. Many experts in the real estate field and experts involved in management of urban BMPs/runoff controls were contacted. Discussions with organizations including the Urban Land Institute, the American Planning Association, and the National Association of Home Builders proved valuable in identifying developments that have incorporated urban runoff management requirements into site development and have realized an economic benefit. Regional personnel of the U.S. Environmental Protection Agency (EPA) were contacted and provided information on their region of the country as well as potential case study examples. Developers and realtors provided comparative values and information on premiums charged for various properties nationwide. Information regarding case studies was compiled through literature reviews, site visits, and discussions with developers and realtors. After the information- gathering process was completed, case studies were selected. The case studies are representative examples of positive economic impacts on new development, existing development, and commercial property. Conclusions were made based on information gathered and discussions with experts in the fields of real estate and urban runoff controls. Most structural urban runoff BMPs function on the principle that it is best to hold runoff for a period of time. This approach serves two functions. It controls the peak flow rates of water released from a site, thereby controlling downstream flooding, and it allows pollutants to be removed from the water column. There are many different types of urban BMPs, many of which add value to adjacent property. This focuses on two types of BMPs that are often used: urban runoff "wet ponds" and constructed wetlands. Wet ponds, as their name implies, are runoff holding facilities that have water in them all the time. Storm flows are held in the pond temporarily and then released to maintain healthy downstream habitats. Sediment and other pollutants settle out of the water and are not discharged to the receiving waters. Wet ponds are usually vegetated, and the plants' roots hold sediment and use the nutrients that are often contained in urban runoff. The ponds are designed to be big enough to control onsite and offsite flooding in the event of a major storm. This helps to control impacts on downstream habitats. Many of the "lakes" in developments are actually detention or retention wet ponds. Developers can design the wet ponds to look like natural lakes. Wet ponds can be highly effective in removing sediment and in reducing nutrients if they are properly constructed and maintained. They can usually be used for large drainage areas. Wet ponds can be incorporated into new development site plans and can enhance the value of surrounding property. Old wet ponds can also add value to the surrounding property once they have been aesthetically improved. Wetlands serve an important function in controlling the impacts of urban runoff. Because wetlands are heavily vegetated, they serve as a natural filter for urban runoff. They also help to slow the flow of water to the receiving waters and replenish groundwater. When properly designed, constructed wetlands have many advantages as an urban BMP, including reliable pollutant removal, longevity, adaptability to many development sites, ability to be combined with other BMPs, and excellent wildlife habitat potential (MWCOG, 1992). In many cases, developers are able to make quicker sales and additional profits from units that are adjacent to a wet pond. If the urban runoff management control is also developed to allow passive recreation (e.g., a walking path around a lake or pond), the recreational area and the wet pond/constructed wetland can become the feature attraction when advertising the property. Adding walking trails, fitness equipment, gazebos, bird houses, and other facilities to enhance a detention area can be costly, but eventually additional profits are realized (Sala, 1995). The impacts of urban runoff management controls on property values are site-specific (CDM, 1982). Controls can affect property values in one of three ways: increase the value, decrease the value, or have no impact. "Urban runoff controls are greeted with varying degrees of skepticism and acceptance by residential versus commercial property owners," according to Judith Costello Pearson, Manager, Market Research, Fairfax County (Virginia) Economic Development Authority. One must consider the appeal of an attractive urban runoff management control along with the liability of open water. A childless adult might perceive a wet pond as an amenity, but a family might view it as a potential hazard to children. Urban runoff systems with standing water often appear to be natural systems. A clean lake or pond offers benefits to developers by creating an ideal setting for model units and for the sales office. If located close to the entrance and visible from the road, it will have considerable curb appeal and can repay installation costs through faster sales, in addition to raising the value of adjacent lots (Tourbier and Westmacott, 1992). Developers can charge premiums (extra charges) for property with water views, views of wooded land, or other amenities. Many ponds planned for urban runoff control are also designed to provide recreational facilities. They are often surrounded by walking trails and picnic areas complete with gazebos and outdoor grills. The ponds also can be used by nonmotorized boats like canoes and are excellent areas for bird-watching. This natural setting creates a home for a variety of birds and animals that homeowners find appealing. Fountains, often included in plans, also add to the aesthetic qualities of the pond. Many developers have capitalized on urban runoff regulations by designing aesthetic wet ponds and marketing them as if they were natural lakes or ponds. In an effort to incorporate landscape design into stormwater management planning to enhance the value and quality of development, General Telephone of Marion, Ohio, created an attractive wet pond ornamented with plantings, stones, and pedestrian paths. Runoff from the Hyatt Regency Ravina hotel complex in Atlanta, Georgia, flows into a series of beautifully designed wet ponds linked together by streams and waterfalls that are kept flowing by recirculating pumps. A carefully designed wet pond at the Woods in Rhinebeck, New York, provides flood control and water quality benefits, and the waterfront created by the impoundment enhances the value of surrounding townhouses (NYSDEC, 1992). Residential lots located near an urban runoff pond are often a concern to home buyers with young children. Parents fear their children will be attracted by the water or wildlife and drown. Incidents of drowning in urban runoff management areas have occurred in residential as well as commercial areas. Children who fall through frozen ponds or fall into the water without knowing how to swim are usually the victims. Adults have also drowned in detention ponds. A Chicago man fell into an 18-foot-deep retention pond located on the property of a junkyard and drowned. According to one real estate appraiser, safety is the only issue regarding urban runoff management controls that adversely affects property value (Jablonski, 1995). One solution is to construct a fence surrounding the pond to deter entry and reduce accident potential. Chain-link fencing is often used. Rusting, poorly maintained chain-link fencing reduces any aesthetic qualities of the area, but fencing that has a black or green protective coating is more attractive and can improve the appearance of the runoff control. A "protective device" of the developer's choice must be placed around ponds near residential areas with over 2 feet of standing water or more than 2 hours of drainage time. The protective device may be fencing or plantings of bushes and trees; in some cases, flat slopes or shallow beaches extending at least 20 feet from the perimeter of the pond are acceptable. These flat slopes or beaches provide protection for children who could roll down steep slopes directly into the pond. Using flat slopes reduces the amount of land available for development, however, and is the least used option. Fencing is the most inexpensive solution and is used frequently. It has been reported to be an "attractive nuisance," however, because some older children feel challenged to climb fences and enter restricted areas. Requirements to construct wet ponds for urban runoff management are a concern for developers, who lose the potential profit from this otherwise buildable land. This unrealized profit, or foregone value, can be substantial if, for example, a builder is no longer able to construct several planned townhomes (Rolband, 1995). Developers often increase the number of homes built in the area available for development and reduce the size of individual homes to recoup the foregone value of the property. Poorly maintained wet ponds or constructed wetlands are often unsightly due to excessive algal growth or garbage build-up. These conditions are considered detriments by area residents and people passing through the areas. Wet ponds and constructed wetlands can also become mosquito breeding grounds. Mosquito problems usually can be reduced or eliminated by designing the wet pond so that all portions of the basin are connected to open water to allow natural predators to control the mosquito larvae (Tourbier and Westmacott, 1992). Generally mosquitoes are not a problem in the presence of a good biological community. Organic controls such as mosquito-eating fish or insecticidal bacteria like Bacillus thuringiensis israelensis (Bti), however, are also options where mosquitoes need to be controlled. Effective landscaping can do much to overcome the disadvantages of urban runoff systems and improve the appearance of facilities. Banks of urban runoff storage areas and drainage ditches should be graded smoothly into adjacent areas where feasible. Steep slopes should be protected against erosion by stabilization techniques, such as gabions, rip-rap, or other practices that detract as little as possible from the natural setting. Planting and preservation of trees, shrubs, and other vegetation should also be a part of the improvement plan (Poertner, 1974). Sediment accumulation and waterlogging of otherwise usable land areas can be avoided by the use of proper design, construction, and operation techniques. Ponds used for urban runoff control can be spared from excessive sediment accumulation by the use of forebays for silt collection. The amount of silt transported can be reduced by directing runoff through vegetated areas or specially designed runoff filters. Waterlogging of land surrounding urban runoff storage areas can be minimized by sloping the ground toward storage areas, eliminating water pockets, and minimizing the frequency and duration of ponding on areas otherwise suitable for multipurpose use (Poertner, 1974). Wet ponds and constructed wetlands require periodic maintenance to preserve environmental and monetary benefits of "waterfront" lots. However, the benefits of higher resale value and quality of life typically outweigh the combined costs of the initial lot premium and annual maintenance fees charged by homeowners' associations. In fact, operation and maintenance costs of urban runoff retention ponds can be as low as $62 per year for homeowners (MWCOG, 1983). The following case studies highlight developments where the incorporation of urban runoff controls resulted in economic benefits to the local homeowners or developers. The case studies detail how the presence of aesthetically designed runoff controls affected both the initial sale value of new developments and the resale values for existing developments. A landmark survey by the National Institute for Urban Wildlife indicated that 75 percent of the residents of Columbia, Maryland, a community planned for a population of 100,000, prefer urban runoff ponds that contain permanent pools of water, wetlands, and wildlife over the dry ponds many municipalities prescribe for their subdivisions. Residents (94 percent) overwhelmingly believed that managing future runoff basins for fish and wildlife as well as for flood and sediment control would be desirable. Residents (92 percent) considered the view of birds and other wildlife to be particularly important and felt that the sight of them outweighed any nuisances they created. Perhaps most importantly, 75 percent of Columbia homeowners felt that permanent bodies of water added to real estate values and 73 percent said they would pay more for property located in a neighborhood with storm water control basins designed to enhance fish or wildlife use. The study in Columbia covered an area that contained 3 lakes, 22 runoff ponds with a permanent pool of water, and 9 dry detention basins (Adams et al., 1984; Tourbier and Westmacott, 1992). Residents of seven Champaign-Urbana, Illinois, subdivisions with urban runoff detention ponds were questioned about the role the pond played in their decision to purchase their home. Sixty-three percent of the respondents living adjacent to a wet pond identified the pond as what they liked most about their neighborhood. Seventy-four percent of homeowners surveyed believed that wet ponds contributed positively to the image of a subdivision as a desirable place to live. Only 3.5 percent felt a wet pond had a negative influence on the image of their neighborhood. Overall, respondents believed that lots adjacent to a wet pond were worth an average of 21.9 percent more than comparable nonadjacent lots in the same subdivision. Eighty-two percent of all respondents said they would, in the future, be willing to pay a premium for a lot adjacent to a wet pond (Emmerling-DiNovo, 1995). Built in 1993, the Sale Lake subdivision of single-family homes surrounds a 4-acre constructed wetland. Sale Lake demonstrates environmental sensitivity in suburban development. Lots located alongside the wetland sold for as much as $134,000, up to a 30 percent premium over lots with no water view (St. Germain, 1995). Highland Park, Illinois "Preservation is not a problem for developers; it's a golden opportunity," insists the president of the development company for Hybernia, a community of 122 single-family houses on a 133.5-acre site in Highland Parks, Illinois. The site, zoned for 40,000-square-foot lots, was laid out around a constructed pond/stream system and 27 acres of land approved as a state nature preserve. The site includes 16.5 acres of ponds. Forebays at urban runoff inlets catch sediments (Tourbier and Westmacott, 1992). Hybernia is a an example of ecological landscape planning. Waterfront lots, which now sell for $299,900 to $374,900, draw a 10 percent premium above those with no water view (Margolin, 1995). Virginia Chancery on the Lake, a condominium development in Alexandria, Virginia, is a residential project with an attractive 14-acre urban runoff detention area. Realtors are currently promoting the wet pond as the development's feature selling point. The wet pond will be surrounded by a walking trail, and a gazebo and fishing pier will also be built. According to Ginger Harden, Sales Associate of Chancery Associates LP, condominiums are priced between $129,990 and $139,990. Condominiums that front the lake are selling at a $7,500 premium. For the first four buildings on the market, a $5,000 premium was charged for units fronting the lake. The lakefront units were the only units selling, and now the premium has been raised to $7,500 (Harden, 1995). A development consisting of apartments and townhouses in St. Petersburg, Florida, Lynne Lake Arms, has four urban runoff detention ponds on site. Three of the ponds are 3 to 5 acres in size, and the fourth is a 25-acre pond with a large fountain in the center. Apartments or townhouses rent for between $336 and $566 a month. Units facing the three smaller ponds have a $15 per month waterfront premium; units facing the large pond are rented at a $35 per month premium (McInturf, 1995). A small channel connects the large detention pond and one of the smaller ponds. Even apartments fronting this channel have a $5 per month waterfront premium. The owner of a 72.3-acre parcel of land had plans to fill deteriorating wetlands before building a subdivision. He was persuaded to enhance them instead and now promotes enhanced and constructed wetlands as the feature selling point of The Landing. A lake with 3,750 feet of shoreline provides aesthetic and recreational value, as well as sensible detention of urban runoff. Waterfront lots currently sell for $18,000 to $40,000, a premium of up to $21,000 (150 percent) above comparable lots with no water view (Baird, 1995). Since their construction in 1971, units facing the constructed pond in the townhouse community of Pinewood Lakes have sold at a premium. Of the 497 units, all with exactly the same square footage according to tax records, only 20 have direct water views in either the front or the rear. Figures show the average 1994 sales price of townhouses lacking the water amenity to be $93,833. The average waterfront sales price is $100,000, a premium of $6,117. Higher sales prices for properties with views of the water have been consistent for 23 years (Wade, 1995). Evans Mills is an upscale community of 41 townhouses in the Tysons Corner area built around an existing pond. Fairfax County tax records show Evans Mills waterfront townhouses sell at higher prices. In 1994, waterfront homes sold for an average $17,467 premium above the average $419,200 price of homes not facing the pond (Wade, 1995). Laurel Lakes Executive Park, commercial property in Laurel, Maryland, also has created an attractive wet pond system. Office space fronting the water rents at a premium of $100 to $200 per month depending on the size and layout of the office space (Kalish, 1995). On average, first-class office space located in Prince George's County with a lakefront view rents for between $17.50 and $20.00 per square foot, whereas properties without a view rent for between $16.50 and $18.50 per square foot (Duncan, 1995). Fairfax County, Virginia Commercial office space also can be valued higher when it fronts aesthetically designed runoff retention ponds. The lakefront Lakeside at Avion and Tysons Pond, both located in Fairfax County, Virginia, are examples of commercial projects that took advantage of the requirement to implement urban runoff management controls by enhancing a retention pond and then capitalizing on the presence of the pond when naming the project. In Fairfax, Virginia, the average cost of commercial office space without water as an amenity is approximately $15 per square foot. The average leasing rate for commercial waterfront office space is $16 per square foot (Constam, 1995; Goeller, 1995). In a soft commercial real estate market, where office space is overabundant, it can be difficult to ask for a premium of any kind. However, real estate brokers agree that, when all else is equal, commercial waterfront property rents considerably faster than space that does not front water (Berman, 1995; Constam, 1995; Goeller, 1995; Pepper, 1995). Although a tenant might not be charged for a water amenity, it can provide a steadier flow of income and fewer vacancies for the realtor (Berman, 1995). Mike Pepper, Vice President of CB Commercial Real Estate Group, Inc., declares that "There is absolutely a premium associated with commercial lakefront property. Anything adding to the aesthetic value is going to raise a property's value." Mr. Pepper concedes that in the saturated market of northern Virginia, property with a water view might or might not rent for a $1-$3 per square foot premium, but will always sell or be rented more quickly (Pepper, 1995). Environmental benefits are not the only valid reason for encouraging developers to incorporate urban runoff controls into new residential and commercial developments. Increased property values can result from aesthetically landscaped controls. Both homeowners and developers have realized benefits from beautification of areas adjacent to waterways and detention ponds. Residents find the beauty and tranquility of water, as well as fish, birds, and other wildlife, highly desirable. The beauty of natural surroundings increases real residential property values by up to 28 percent while also enhancing the quality of life. Commercial property owners, too, can benefit when their property is adjacent to an aesthetically designed urban runoff control. They can realize lower vacancies, lower tenant turnover, and high rental prices. Real estate professionals agree that the more amenities a property has, the faster it will sell or rent. Of course, to maintain higher property values, aesthetics must be considered during the operation and maintenance of wet ponds and constructed wetlands over the years. Best management practice (BMP): A practice or combination of practices that are determined to be the most effective and practicable (including technological, economic, and institutional considerations) means of controlling point and nonpoint source pollutants at levels compatible with environmental quality goals. Constructed wetland: An artificial wetland system designed to mitigate the impacts of urban runoff. Forebay: An extra storage space provided near an inlet of a wet pond or constructed wetland to trap incoming sediments before they accumulate in the pond. Gabion: A rectangular basket or mattress made of steel wire in a hexagonal mesh. Gabions are generally subdivided into equal-sized cells that are wired together and filled with stones, forming a large, heavy mass used for shore protection. Impervious area: A hard surface area (e.g., parking lot) that prevents or retards the entry of water into the soil, thus causing water to run off the surface in greater quantities and at an increased rate of flow. Nonpoint source pollution: Water pollution caused by rainfall or snowmelt moving over and through the ground which carries pollutants. A nonpoint source is any source of water pollution that does not meet the legal definition of point source in section 502(14) of the Clean Water Act. Nonstructural control: A practice that does not require construction of a facility to control urban runoff. Premium: An additional charge for real estate property with an amenity such as a water view or a view of wooded land. Receiving waters: Lakes, rivers, wetlands, coastal waters, and groundwaters that receive runoff. Riprap: A protective layer or facing of quarrystone placed to prevent erosion, scour, or sloughing of an embankment or cliff. Sediment: The product of erosion processes; the solid material, both mineral and organic, that is in suspension, is being transported, or has been moved from its site of origin by air, water, gravity, or ice. Structural control: A practice that involves design and construction of a facility to mitigate the adverse impact of urban runoff, and often requires maintenance. Urban runoff: The portion of precipitation, snowmelt, or irrigation water that does not naturally percolate into the ground or evaporate, but runs off the land into streams or other surface water. It can carry pollutants from the air and land into the receiving waters. Wet pond: Pond for urban runoff management that is designed to detain urban runoff and always contains water.